Barack Obama will spend Valentine’s Day apart from his wife, Michelle. 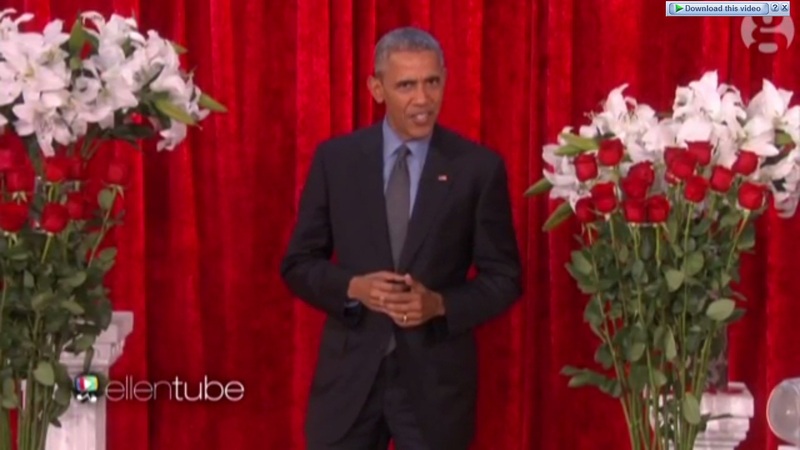 On Friday’s broadcast of the Ellen DeGeneres Show, therefore, the president recited a love poem he said he had planned to deliver to the first lady in person. “Somebody call the Situation Room because things are about to get hot,” said the president, as he stood in front of a red curtain and amid bouquets of red roses and white lilies as Barry White-style music played in the background. “Michelle, this Valentine’s Day I’m going to treat you right. I’m going to make you some zucchini bread. Then I’ll spread out some veggies on a plate just the way you like them,” he said.